In the “On-Demand” or “Gig Economy” people can get just about anything they want FAST by simply clicking a few buttons in an app. We’ve all heard of Uber, but did you know that services of all kinds are literally just a click away?! Food arrives at the door from a restaurant that does NOT have delivery service! A busy executive has a valet waiting to take her keys, park her car, and pick her up when she is done! Fido and Fluffy have a pet sitter when their family is away! A traveler finds a room in a private home! And, for every click, there needs to be a “click-responder” — the person who makes on-demand happen. YOU! Pets are part of the family, and their owners want them to get the best care — even when they can’t be there themselves. The on-demand economy has birthed more than a few services to match pet lovers (you) with pet families who need an extra hand! View new jobs posted every minute and join millions of unique visitors every month. Meet potential clients prior to your appointments via phone, Skype, or in-person. Appointments are scheduled around your real-time availability—no more phone tag! Clients will fill in their info and instructions—accurate appointment details every time! You and your clients can receive automatic reminders via email and text message. Clients can pay online with credit and debit cards, and are only charged once the appointment is completed. They can also add a tip. Premium level service providers may also accept cash payment. Sign Up – Download the app for FREE and build a profile. Connect – Invite people to your doggy network. Find Jobs – See jobs in your area and offer help. Get Paid – Get paid right from the app. You choose the dogs (breeds, sizes, ages) you’ll watch, set your own rates and service offerings (like boarding and daycare), and make your own schedule. Every reservation through DogVacay includes premium pet insurance, and our Customer Care team is here 24/7 if you have any issues or questions. We offer online training and one-on-one support for our sitters, and are always sharing marketing tools to help you promote your business. Earn money doing something you love. Set your rates and control your schedule. Bring home a new best friend for your dog. Rover offers 24/7 emergency support. We only accept walkers that have legitimate, professional experience in caring for dogs. Our walkers are knowledgeable, passionate and driven. Walkers are insured and bonded against any accidents that may occur when your dog is in our care. They arrange a complimentary 30 minute in-home meeting called a Meet and Greet between you, your dog, and your regular walker before walks begin. Sometimes, people are just too busy (or too late) to deal with the frustrations of finding a good, safe parking spot near their destination. Their parking problems, may be your earning opportunity! We compensate you without hidden fees – like gas, car maintenance, etc. You take home 100% of what you earn. We go above and beyond to make sure our valets and customers are taken care of. We carry a $1M general liability and garage keeper’s policy. Highest payouts in the industry: Effectively earn $20+/hour. Get paid for your time, the jobs you complete, and the customers you sign-up. Maximum flexibility in your schedule: set your own hours and control your own work schedule. Stay active while on the job: your city is your office. Respond to customer requests quickly all through your own phone & ZIRX’s Agent App. Safely navigate the city’s streets, storage facilities, and service locations. Leverage your own customer services skills, be rewarded by your customers and increase your earnings. Got a car you don’t use all the time? Maybe it spends a lot of lonely hours in your driveway garage, or in airport parking lots? Put it to work for you, by renting it out through one of these services. Where: San Francisco, CA; Berkeley, CA; Chicago, IL; Oakland, CA; Portland, OR; Washington D.C. When you’re not using your car, our community can rent and unlock it with our app. You’re paid monthly. The average owner makes $6,000 a year. Any tolls or dumping fees paid by the driver to complete the job will be added to the customers bill. Your car is covered by our $1,000,000 liability policy during every rental. It covers any damage to or theft from your car, with no out-of-pocket expenses. You control the price & availability – Create custom pricing and availability for daily, weekly, and monthly trips. You decide who rents your car – Your safety is our #1 priority. We screen each renter and run additional verifications to maintain a safe marketplace. DRIVING PEOPLE WHO HAVE PLACES TO GO, THINGS TO DO, PEOPLE TO SEE! People are busy, but they don’t always have a car available when they need one. That’s where YOU come in! Turn your car, time, great driving record, and fabulous personality into great money! We only take a small fixed fee from each ride, day or week. Your car must be a 2000 model or newer with 4-doors, and able to seat 5 people comfortably. You must be 21 or older, have an in-state license, and have insurance registered in your name. Drivers get 80% of payment from passengers. Money is deposited into your account each week. Some drivers make more than $800 just driving Friday nights and weekends. Make More Money – With increased Prime Time pricing during peak hours, you make more with Lyft. As an independent contractor with Uber, you’ve got freedom and flexibility to drive whenever you have time. Whether you’re supporting your family or saving for something big, Uber gives you the freedom to get behind the wheel when it makes sense for you. Rent out your apartment, house, B&B, loft, townhouse, condo, bungalow, cabin, villa, castle, dorm, treehouse, boat, plane, camper, RV/camper, igloo, lighthouse, yurt, tipi, cave, island, chalet, earth house, hut, train, tent, or other space! Trust & safety tools help you accept a booking only if you’re 100% comfortable. Every eligible booking on Airbnb is covered by our Host Guarantee – at no additional cost to you. Sign up for free – Pay just 3% per booking. Confirm bookings in one click and track everything from inquiry to check-out—even while you’re on the go. Being a host is more than just having guests stay in your home when you’re out of town. You’ll benefit from a complete service – from marketing and insurance through to cleaning, management and maintenance. It’s all controlled, safe and secure. And, of course, you’ll be rewarded financially, or through other benefits we extend to our hosts. 24 hours after your guests arrive and have checked in successfully, Wimdu automatically transfers your payment to your Paypal or bank account. So, you really know your stuff, huh?! Well, you may be surprised at how many people would pay to learn from a master — YOU! Get paid for every minute of your time, not just per session. Give us your availability and we will pick a schedule that works for you. Feel good — you are making a difference for students. Skillshare classes are taught by everyday creators who are passionate about what they do – people like you, your friends, and your colleagues. You don’t need to have experience or be well-known to start a class and grow a following. Extend your reach to thousands of students actively searching for teachers like you. Use our reach to connect with students anywhere through live, online lessons. Get started with no upfront costs. We don’t get paid until you get a new student. The Gig: Academic lessons, dance lessons, music lessons, fitness and sports lessons, martial arts lessons, CPR lessons, etc. Thumbtack helps you find new customers and grow your business. The process is simple. Customers tell us about their needs and we send you the details of their requests (for free). If it looks like a fit, you respond with a custom quote and work out details with the customer. College students, teachers, adjuncts, professors and industry professionals all love this exciting part-time tutoring work. Help students of all ages—from K-12 to college to adult learners—gain a better understanding of your favorite subjects, while keeping your skills sharp. Reach millions of students worldwide in the largest online learning marketplace, and deliver your course on any device, at any time. Earn serious money and build your personal brand, all while making a real difference in the lives of students. Keep 100% of the revenue when you promote your course; 50% when Udemy promotes it. If you have a boat, bike, surfboard, snowboard, ATV or other “fun mobile” that’s gathering dust, these on-demand services can hook you up with people who are willing to pay to play! You can rent your boat 1-2 times per month to fully offset the cost of ownership. Peace of mind is included with every rental. Your boat is insured by one of the most trusted names in the industry, BoatUS. Plus, liability insurance is included with every rental. Whatever your requirements are, you don’t have to approve a renter unless you are 100% comfortable. Plus, tools to manage your pricing or availability to fit your schedule put you in full control of your Boatbound experience. You can manage one or a fleet of boats from a single account, anywhere. Boatbound securely handles all payments and deposits funds to your bank account within 2 business days after each rental. It is completely free to list your ride on Spinlister. We only make money when you do, we take a 17.5% fee on any rentals. Your ride is safe with us: we guarantee the safety of your bike up to $10,000, your surfboard or SUP up to $2,000 and your skis or snowboard up to $1,000. If you have a talent for making homes livable, this category is for you! Selling Services on Amazon allows top pros like you to offer your services on Amazon Home Services. Millions of people shop on Amazon and many of them are right in your neighborhood. With Selling Services on Amazon, we provide actual orders and easy-to-use tools, so you can focus on what you do best—delighting customers. There’s no charge to sign up and no charge to list your services. And, best of all, you’ll only pay us when you get paid. Don’t waste time chasing leads. When you sell your services on Amazon, you’ll get requests directly from customers. Our program is invite-only, so you’ll only compete with top-rated pros instead of every other service professional in town. Make up to $22/hour as a cleaner or $45/hour as a handyman. Our top professionals make more than $1,000 a week. No more tracking down customers for payments. Handy will direct deposit your earnings into your bank account as soon as the job is complete. Start at a minimum of $17/hour. Be your own boss and determine your own hours and schedule. Be connected to clients through the Honor network. Our apps help you get clients and improve your ability to deliver superior service. Get recognized as one of our nation’s best in-home care professionals. Have opportunities to increase your pay and responsibilities. We present you new job opportunities as they arise. Your money is quickly deposited directly into your bank account after each task. Our team is here if anything comes up, and every task is insured up to $1,000,000. Thumbtack sends pros like you requests from customers. You decide whom to respond to and send a quote. Got muscle? Got time? Get moving (someone else)! Be sure to choose a professional photo of you alone. If accepted, this picture will be sent to your customers, so make sure it’s a good one! Make up to $30/hr and work when you want! Make up to $35/hr with your truck or cargo van. Be active, meet new people, and help others! Drivers must own their own truck or cargo van. If you do not own a truck or cargo van or do not plan to use it with Lugg please apply as a helper. Our drivers and helpers make more money in tips then any other on-demand service. You keep 100% of the tips you make. Work on the weekends or every day of the week. Set your own schedule and work when you want. Get paid at the end of each day via a direct deposit to your bank account. Busy families need help, and you may be exactly who they are looking for! List your skills and talents. Get Hired Apply to jobs, find the right match and voila-you’ve got a job! Get Paid Make payday a breeze by signing up for direct deposit. Create an account, enter your availability and rates, respond to requests, do a great job, get paid, get more jobs! Are you a talented auto mechanic who would like to make some extra money on your own terms and on your own time? One day a week? 5 days a week? Just evenings? Weekends only? You have total control. Just use our Android app to set your own hours and the service area where you prefer to work, and we’ll book you appointments based on your availability. Our mechanics make a flat hourly rate of $40-50 an hour based on their location, skills, and level of experience. We focus on basic repair and maintenance – brakes, tire rotation, timing belts, 90k mile service, alternators, cooling system, AC work, etc. No engine overhaul or big transmission work. We handle marketing, booking appointments, delivering parts, buying insurance and providing support. You do what you love – fix cars. We take care of the rest. Food delivery apps and websites are popping up everywhere, and every time someone clicks “deliver,” a driver (or biker) goes into action — picking up the food and delivering it to the customer FAST! Following, is a list of companies that post job listings for food delivery people! If you are courteous, quick, and available, apply today with the services in your area! Anyone with a vehicle (car, truck, bike, scooter, or motorcycle) and a customer-service mentality is eligible. Couriers are compensated for each delivery with a task-based fee. Money is deposited into your bank account each week. Caviar is expanding into new markets very rapidly. This is an independent contractor position – choose when you want to work! Competitive, guaranteed hourly rate based on experience and mode of transportation. Competitive compensation packages, tips, and mileage reimbursement ($0.575/mile). Employee Discount Program (never worry about dinner again). Postmates receive the majority of the delivery fee, plus 100% of the tip. What does that really mean? Postmates make up to $25/hr. Earnings are deposited weekly. No Vehicle Restrictions: Our servers are the face of the company, not their cars. You can work for us as long as your car is mechanically sound. 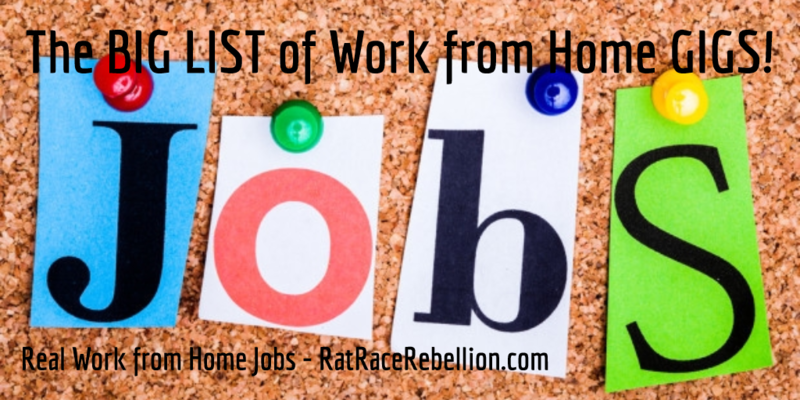 This entry was posted in Driving & Delivery Jobs, On Demand Jobs, Pay-Per-Task & "Gigs", Pet Care Jobs and tagged caregivers, Drivers, handymen, shoppers, tutors. Bookmark the permalink.